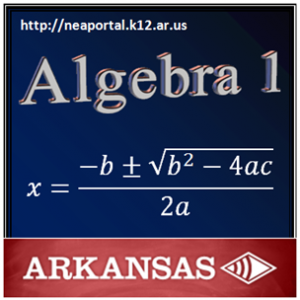 SEI.2.A1.3 | SEI.2.A1.3 (En Espanol) Solve linear formulas and literal equations for a specified variable. SEI.2.A1.4 | SEI.2.A1.4 (En Español) Solve and graph simple absolute value equations and inequalities. SEI.2.A1.5 | SEI.2.A1.5 (En Español) Solve real world problems that involve a combination of rates, proportions and percents. SEI.2.A1.6 | SEI.2.A1.6 (En Español) Solve problems involving direct variation and indirect (inverse) variation to model rates of change. SEI.2.A1.7 | SEI.2.A1.7 (En Español) Use coordinate geometry to represent and/or solve problems (midpoint, length of a line segment, and Pythagorean Theorem). SEI.2.A1.8 Communicate real world problems graphically, algebraically, numerically and verbally.